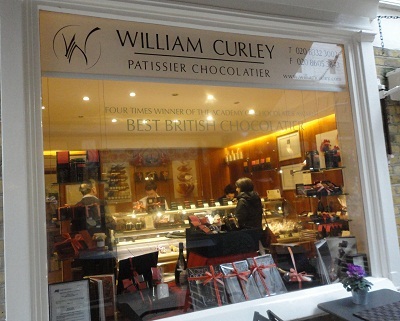 William Curley, Patissier Chocolatier and four times winner of Britain's Best Chocolatier award, set up his first shop in Paved Court, Richmond-upon-Thames, in October 2004. The much larger Belgravia branch was opened five years later: not just a shop but also a dessert bar with indoor and outdoor seating and a kitchen that offers classes for adults and children. The hat trick was completed with the opening of a concession in Harrods food hall. 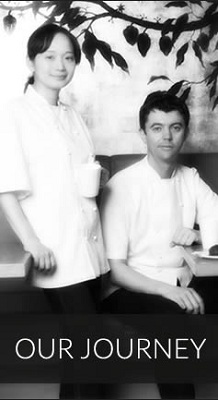 William's Scottish heritage, and his wife, Susie's Japanese background have contributed to some of the innovative and interesting flavours that fill their chocolates. Step out of your comfort zone and sample Thyme and Scottish Heather Honey, Green Cardamon, Apricot & Wasabi and Szechuan Pepper in addition to classics like Sea Salt Caramel, Piedmont Hazelnut and the locally flavoured Richmond Park Honey. 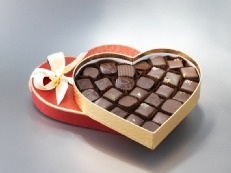 You can indulge yourself with filled chocolates, chocolate bars, chocolate nibbles, biscuits, hampers and pastries. 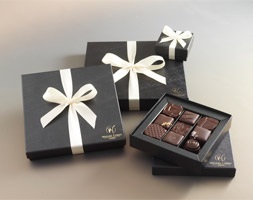 If you feel truly inspired you could take home a copy of William's Couture Chocolate Book, treat a friend or loved one with a gift voucher or even book yourself on to one of the chocolate courses in Belgravia. 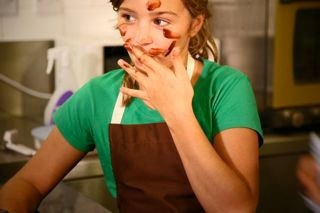 Alternatively you could watch some of the online videos, such as this one offering a truffle making master class. 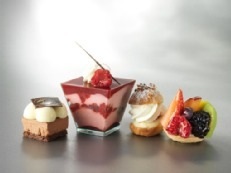 Don't forget that William is also a Patissier and one of his creations can be washed down with a hot drink in the small seating area in Richmond, or the much larger dessert bar in Ebury Street. 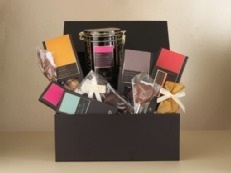 And with Mothers' Day approaching, why not spoil your mum with one of the many treats on offer?